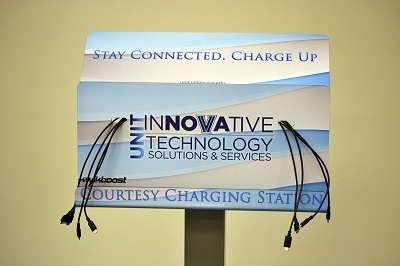 Falvey Memorial Library :: Need a charge? No need to wait! Need a charge? No need to wait! Over the fall break UNIT installed a courtesy cell phone charging station on the first floor of Falvey. 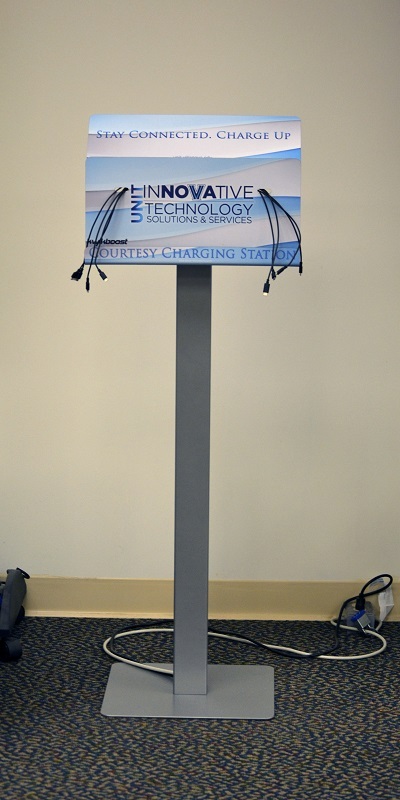 The charging station can charge eight cellphones simultaneously. It is located along the same wall as the photocopy machines and the scanners, to the left of the entrance and circulation counter. Library visitors can conveniently charge their phones while pursuing research or studying in Falvey.